It's that time of year again--back to school! Myself and some other authors are commemorating the event with a back to school blog hop. Each participant will post on the subject of school, and there's a contest for an Amazon gift certicate. What better way to celebrate back to school than with books, right? The hop starts August 23 and continues until August 30 (I've posted early). I've included a list of participating authors at the end of the blog, many who are offering giveaway drawings. Be sure to visit them all. 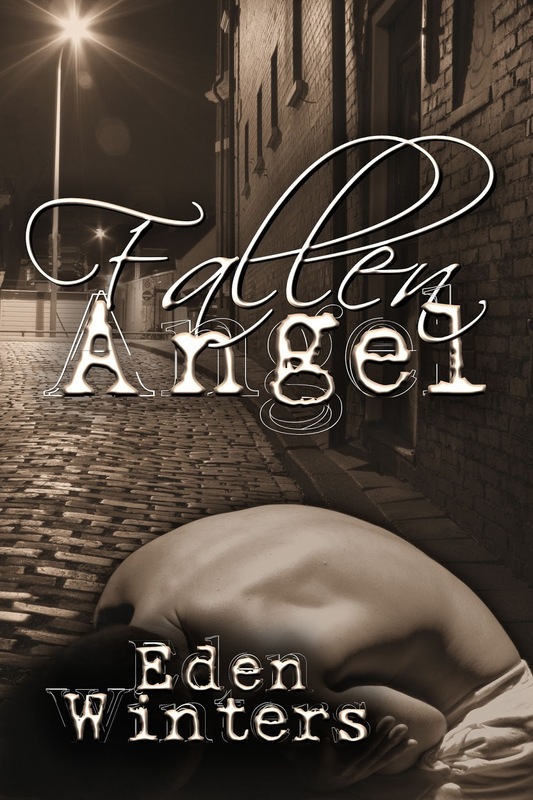 I write a wide range of sub-genres, but when presented with this topic, one story came to mind, or rather, two: The Angel of 13th Street, and the followup, Fallen Angel. Some kids mark back to school with new clothes, a new backpack, and a bit of anxiety. But what about those who don’t have the support of a loving family? Once foster-care children reach eighteen, they’re out of the system, whether they’ve graduated high school or not. No more support. Really? What child is ready to live on their own at eighteen, without even advice or encouragement, not to mention basic needs such as food, clothing, and housing? While laws are changing and organizations exist to help, far too many of these kids fall through the cracks. At the time that I wrote The Angel of 13th Street, it was estimated that 80% of kids who’d aged out of the program would wind up homeless. In the story, Jeremy Kincaid was one of those kids. Instead of new clothes, Jeremy depended on thrift shops, instead of a home cooked dinner every night he existed on free lunch at school—one meal per day. Until he found himself a new family with an extraordinary man. The Angel. That’s what the young hustlers call Noah Everett, the man who’ll help them get off the streets. Once a hustler himself, Noah doesn’t take his own good advice, which is, “Don’t let this ruin your life.” Haunted by the past and those he couldn’t save, Noah carefully keeps others at bay until his self-imposed loneliness is shattered by determined, ambitious, but homeless eighteen-year-old Jeremy Kincaid. A ruthless pimp has targeted Jeremy, but if Noah will fight to get anonymous young men out of the life, he’ll fight harder to keep Jeremy from getting in, even if it means a return to old stomping grounds to make a deal with the devil. To save Jeremy, Noah risks more than just his body. He risks his soul as well, because Willie Carnell, pimp, was once Billy Cordell, Noah’s lover. Ten years of rescuing lost youth from the streets wear a man out, and Noah Everett buckles under the pressure of being "The Angel." What began as a two-man mission is now going corporate, meaning rules, regulations and inexperienced volunteers needing guidance in a field Noah makes up as he goes along. On top of this, his latest prospective rescue doesn’t seem to go to plan. Is he losing his touch? Normally he’d turn to his mentor, Doc, in times of trouble, but the old man's strength isn't what it used to be. Noah’s lover would be the next most obvious choice to share this burden with, but Jeremy Kincaid is about to leave for college. After all Jeremy's endured to achieve this goal, Noah won’t stand in his way, even though he fears losing the man to the joys of student life. Jeremy may be young and caught up in his own fights, but he's not blind to Noah’s plight, and now questions his own choices. Four years at State with a full ride will launch his future, but his present includes Noah--and a meth addict who’s become Jeremy’s own personal mission. When a physical attack sends Noah spinning out of control, Jeremy must reevaluate his life and plans before the man he knows and loves disappears forever. While most teens don’t face the level of adversity Jeremy faced, many do not finish high school. And of those who do, far too few can afford to make their college dreams come true, or are unaware of programs designed to help, such as state lottery money set aside for education. Here is advice on how students can get the financial assistance they need. Although from a university’s site, the information can be used for different schools. Oh? And not exactly a teenager anymore? Well, it’s never too late to earn that degree. Leave a comment here on my blog to be included in a drawing for an ebook copy of The Angel of 13th Street. I'll choose a winner on September 1, after the blog hop ends. If you're reading this on Goodreads, Amazon, or anywhere but my Blogger blog, you'll need to come to my blog to comment for a chance to win my book, and also to find the giveaway link for the Amazon gift card. Sorry, it doesn't transfer for some reason. These books sound intense and highlight an important problem.... and the cover art is haunting. I cried when I first saw the Angel cover. I think it's so perfect for the story. Although I'm over 50' I was working on my PhD Full time, until poor health forced me to quit. I love that you mentioned emancipated 18 year olds. Folks might seek help for them under the bureaucratic term "Transitional Age Youth (TAY)." For 18 to 24 year olds who don't quite fit into children or adult programs. This is a precious group of people who,deserve our care and support! It broke my heart to learn about these young folks and how the odds stacked against them. Some states are offering help after eighteen, but many more are not. I purposefully didn't name the city or place it geographically (beyond mentioning snow), hoping that readers would better identify and think, "You know, this could be a my city, or a town near me." And congrats on going back to school! I keep telling myself, "One day." Sounds so intense, but I know it will be beautifully done! Aww... thanks. The books are best read back to back, for it's really a single story that was too long for one volume. There's going to be a third installment, starring a minor character from the second book. What lovely yet haunting covers. They sound like great reads. Thanks! Yes, I do love those covers! Thanks, Tracey! And thanks for participating in the blog hop! Thanks! So nice to see you here. So many lovely post about going back to school in this hop. As always, Eden, you truly inspire. *massive hugs* Thanks for participating! Thanks for hosting the hop, Allison. Great fun, and educational too! Hugs. The status of today's youth in the system is startling and appalling. I am not sure what the answer is, but awareness is a step in the right direction. Thanks, Yvette. My heart broke many times while writing these books. I was very suprised at how many people I talked to who had no idea this sort of thing was happening. I enjoyed reading your post and have read some of your books they were great by the way. Thanks, ShirleyAnn! I hope you'll continue to enjoy my work. Wow, Eden, this is my first exposure to this series, and that's some powerful story there. Thank you so much for the reminder about real kids out there struggling. Education isn't just necessary for jobs and money, but to learn about yourself and explore the world around you. I see that as vital for any kid, and especially ones who are not lucky enough to have had stability and support all their lives. I'm really glad I got a chance to read this post. Thank you so much for sharing with us. Thanks, Carolyn. Young people are a precious gift, and I couldn't believe how many of them are simply turned loose at age 18, even if they haven't yet finished school. They need the basics of life, but yes, they need stability also, that knowing someone is always there for them. These sounds like powerful, emotional stories. I'd love to read them. Thanks! I'm about to toss the names into the hat! Not only are the covers amazing but the stories sound very haunting! Thanks, lyana Jenna. And thanks for taking part in the blog hop. It's been fun, hasn't it? This is a great blog hop, and thank you for being a part of it..*S* My own children are grown and out of school, and I even started at age 30 in my desire to become a teacher. But life happens, and goals are changed. 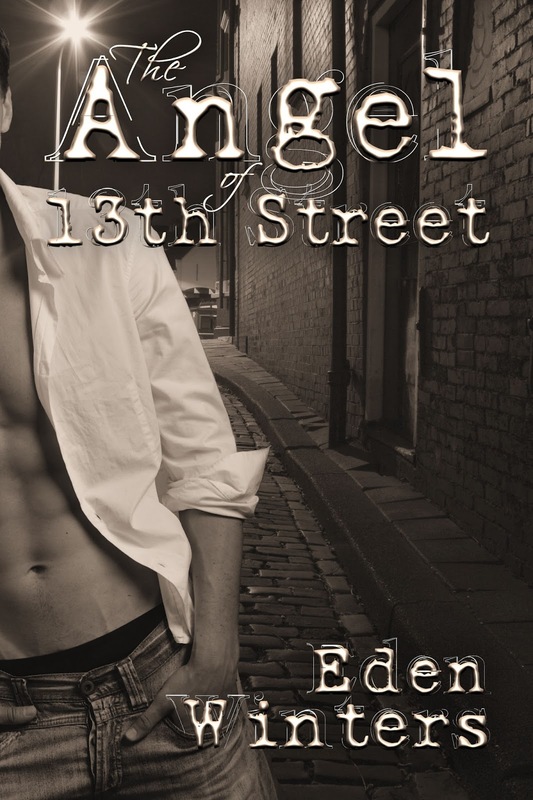 I love the premise of your story Angel on 13th Street & Fallen Angel. I loved your story The Telling, and look forward to reading your angle series. Wishing you all the best, and continued success! Thanks, Darcy. I took classes in my 30s as well and still take the occasional online course that interests me. Never stop learning! Thanks for taking part in the blog hop. Nice to see you here. I'm just about to toss the names into the hat. Moving and being without Internet put me a day late. Such beautiful and evocative covers! Thanks for being part of the hop! Thanks, Juliana! I really love those covers. They're so perfect for the story. 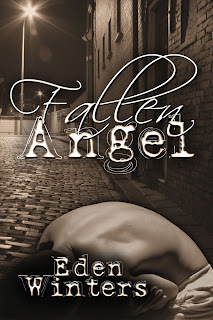 There's a third novel in the works, starring a minor character from Fallen Angel. Thank y'all for stopping by and for participating in the blog hop. I apologize for being a day late in choosing a winner. I've spent the weekend moving and finally have Internet again. Yay! I've thrown all the names into the hat and the winner is: wulf! Congratulations. I'll send your file shortly. Thanks again, y'all. This has been fun. Frogs! Lots and Lots of Frogs!